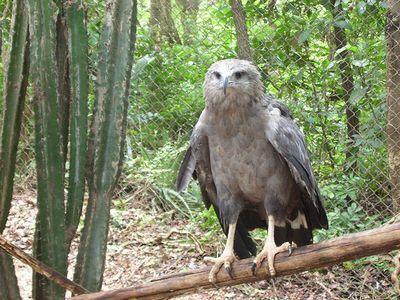 I am typically known simply as the Crowned … I am an endangered bird of prey from eastern and central South America. I typically live in Brazil, Paraguay, Bolivia, and Argentina. I tend to live in open woodland and marshland. Of course I am a predator. I prey on small mammals, fish, monkeys, snakes, and occasionally birds.